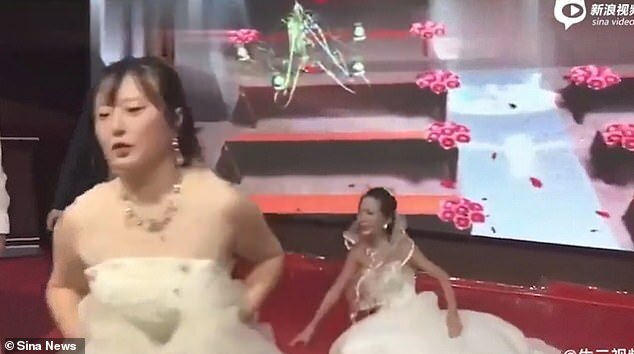 The 30-second video, which has gone viral, is said to be filmed at a wedding in China recently. 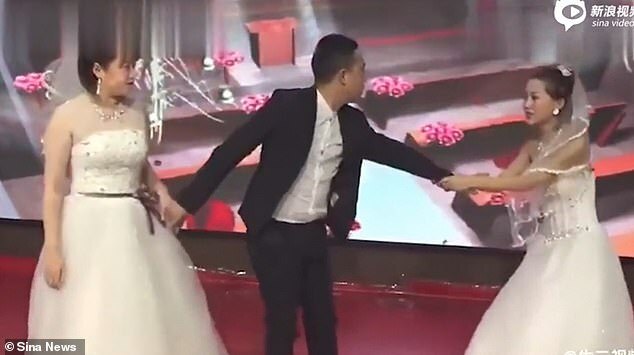 It was first uploaded by an entertainment blogger before being widely shared by Chinese media. 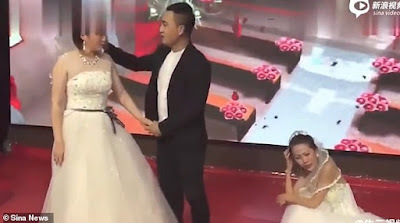 According to Star Video, affiliated to Hunan Legal Channel, the groom broke up with his ex-girlfriend because their personalities were too different. He appeared to be caught in surprise when the woman suddenly showed up at his wedding uninvited, also wearing an elaborate white dress. 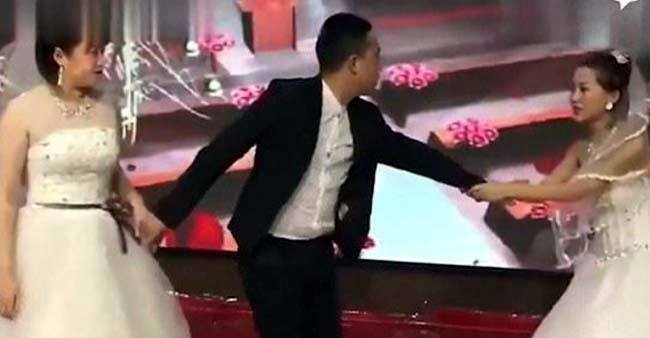 The wedding MC was also shocked by the scene as he can be heard saying 'we have an unexpected situation here' before adding 'perhaps this is the reality of love'. 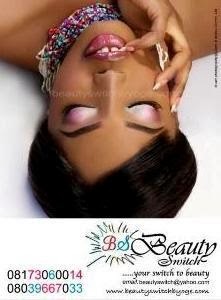 The bride and her family members were aghast at the appearance of the love rival. 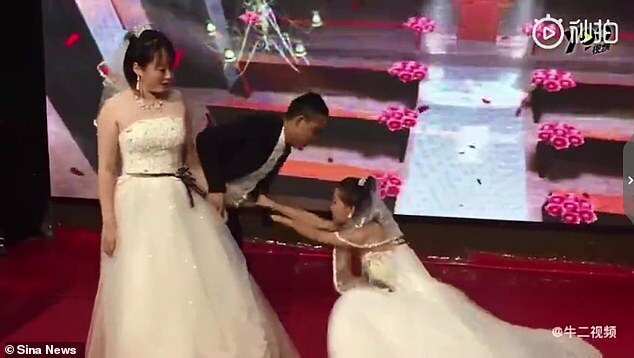 Despite the fact that the groom tried his best to console the bride, she shook off his hands and walked off the stage. 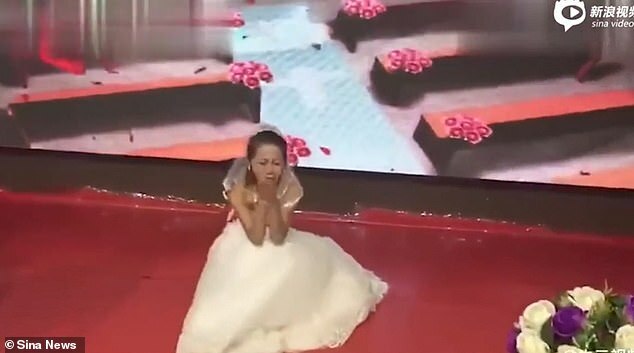 Web users on Weibo, the Chinese equivalent to Twitter, have expressed their support for the bride and condemned the 'unreasonable' ex-girlfriend.